Working in partnership with our other business I. Nixon Landscapes, we provide complete orchard sevices, both domestic and commercial. 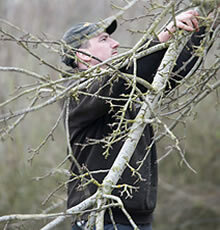 Isaac Nixon is a fully qualified tree surgeon and has spent several years working on commercial orchards. We are currently involved in orchard restoration projects across the West, bringing these important sites back to a state of health and production. 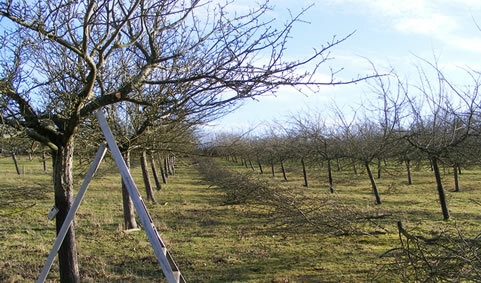 These old orchards often have great bio-diversity and can be of massive benefit to both humans and wildlife. 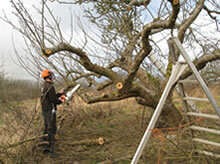 Often this work is part paid for by local grant schemes. 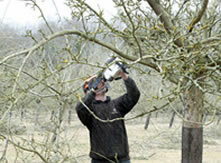 We also manage orchards on a year to year basis, pruning and carrying out all other necessary maintenance work. From tree selection and planting to pruning and re-staking we are happy to help with both individual trees in gardens and commercial/private orchards. To contact Isaac Nixon please go to www.inixonlandscapes.com or telephone 01386 584697.